Truly Marsala is an earthy shade with a bit of sophistication. A matte finish highlights Marsala’s organic nature while adding a sheen conveys a completely different message of glamor and luxury. No wonder, this voluminous sheen Marsala skirt, is absolutely a head turner and got me so many compliments on my recent high-profile event. I love the way my accessories complimented the outfit. Enchant with your charms and live life without hassles and tassels! This tassel neckpiece is made up of a gold plated link chain further accentuated with multicolored hangings that boast beads, charms and tassels. Store it in flat position in a plastic box to avoid kinks and cracks. Styling Tip - Team up with your white tank-top, rugged denims and a denim jacket. Carry a color-pop tote along and shine on! Jewellery trends in geometric shapes are ruling the fashion circuit since ages and are still in rage. 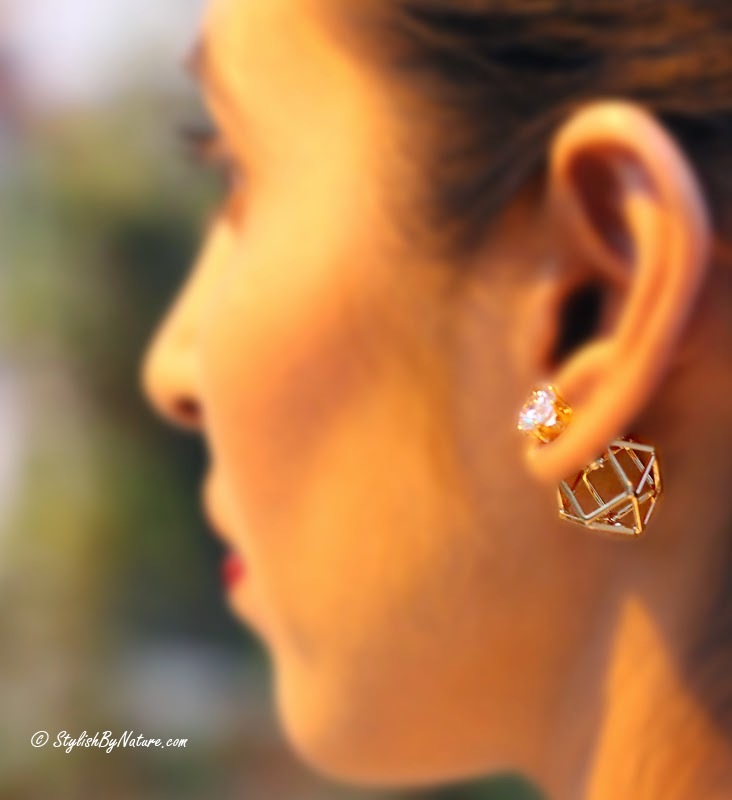 These high gloss gold finish studs are crafted in polygon shape and studded with big clear diamante. These studs really took the entire outfit to a new level. Hope you are rocking MARSALA too ! !